Located in the East Godavari district of Andhra Pradesh, Rajahmundry is one of the major urban centres and is popular amongst tourists as a pilgrimage site on account of the presence of several age-old temples and religious sites. But there is more to its beauty which remains unexplored throughout the year. It is located at a distance of about 60 km from Kakinada and 160 km from Vijayawada and is easily accessible by any means of transport. If you are looking for a weekend destination where you can relish the charm of nature, history and spirituality simultaneously, then you must consider planning a trip to Rajahmundry. So, let us tell you why this beautiful city should be every traveller's stoppage. Yes, Rajahmundry is the cultural capital of Andhra Pradesh. It is the place where one can learn in detail about the historical, religious, traditional and agricultural history of the state. On one hand, you can turn back the pages of history and find out how the state flourished over a period of time and on the other hand, you can savour the raw culture and study the age-old traditions of the state. Wouldn't that be an everlasting experience? If yes, then pack your bags and explore this cultural capital this season. Well, if you think this is some kind of museum focusing on the evolution of cotton in the state or the country, then you are wrong. It is a museum which is named after Sir Arthur Cotton, who was the mastermind engineer behind the construction of the strong dam across the Godavari river. On account of this dam, the nearby lands of Rajahmundry became very fertile, which in turn, helped farmers a lot in their occupation. The museum focuses on the life and the works of Sir Arthur Cotton. Every year, it is visited by hundreds of tourists. If you would love to learn about engineering skills and how a dam is constructed, then you must visit this museum. 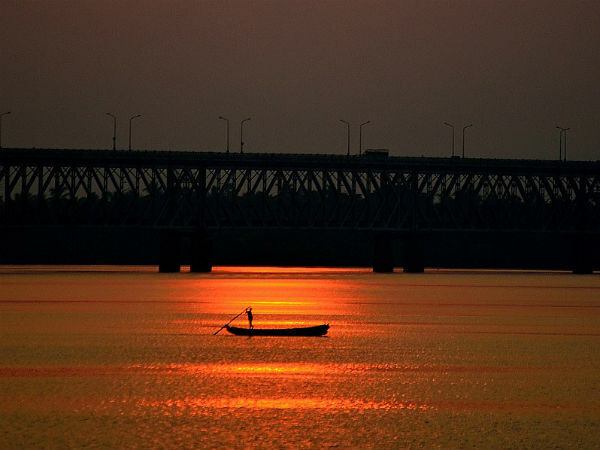 Rajahmundry is located on the banks of Godavari river, and hence it makes for an ideal picnic spot. From boating in the relaxing waters of Godavari to lazing by its banks, there is a lot to do here. You can spot several people jogging, walking and savouring the beautiful surroundings of these banks at the time of dawn and dusk. As they harbour a peaceful, calm and composed environment, they are perfect places to get lost in the beauty of nature. Rajahmundry is a popular pilgrimage site amongst locals and other seasonal tourists as it is home to numerous religious sites and temples. The most prominent of them all is the Kotilingeshwar Ghat Temple, which is one of the 55 Shakti Peethas. Therefore, it is visited by thousands of pilgrims every year. Rajahmundry is also the place where the famous festival Pushkaram is held once every 12 years. During this festival, millions of devotees take a bath in the holy waters of Godavari river to wash away their sins. This cultural capital of Andhra Pradesh has always been rich in arts and crafts and the presence of Damerla Rama Rao Art Gallery proves it. Rajahmundry is also home to Durga Cinetone, the first-ever South Indian film studio, and hence it has a great contribution in the success of the Telugu film industry. It is home to several film artists, such as Jaya Prada and Sameera Reddy. Every religious place in India is somewhere connected to history. So, how can Rajahmundry be an exception here? As per records, the history of Rajahmundry dates back to the 11th century when the region was under the rule of the Eastern Chalukyas. It is also one of the few regions in Andhra Pradesh which were ruled by the Dutch for a short period of time. Do you know Rajahmundry is believed to be the place where the Telugu language was born?